The defining moments of the season are approaching at a fast pace and as such, the first game of the four quarterfinals series is in the history books. After all the dust settled in the battles, two players emerged as the best this week among the winning players: Tyrese Rice of Khimki Moscow Region and Krunoslav Simon of Lokomotiv Kuban Krasnodar. Both managed to rack up a performance index rating of 27 to become co-MVP's of the week. 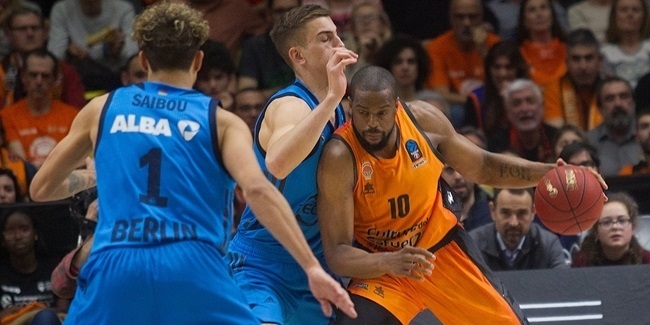 Rice helped his team survive a late Valencia Basket late combat for a 1-point win thanks to his 27 points, 5 assists and 2 steals. On the other side, Simon lifted Loko to a valuable road win over Unics Kazan thanks to his 18 points, 7 rebounds, 7 assists and 6 drawn fouls. 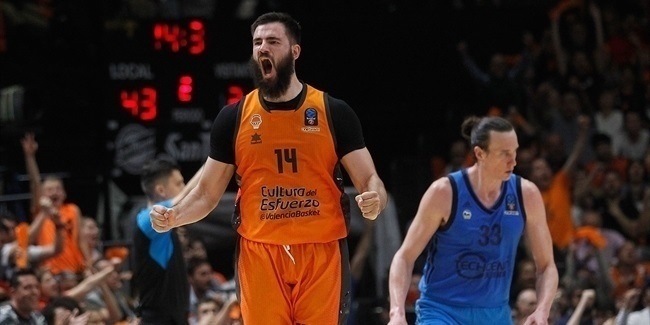 Vladimir Dragicevic of Banvit Bandirma was in the third place this week with a performance index rating, albeit his team lost on the road to Paris Levallois by 2 points. Rice of Khimki was also the best scorer of the week with his decisive 27 points, and then Malcolm Delaney of Lokomotiv followed suit with 23 points of his own. 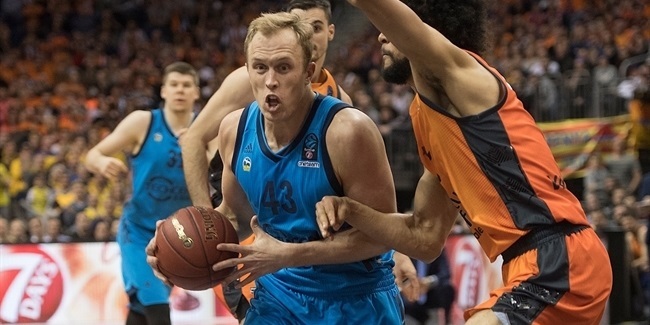 Only one player reached double digits in rebounds this week as D'Or Fischer of Unics Kazan was the best player in this aspect in the first leg of the quarterfinals. Mike Green of Paris Levallois dished a whooping 11 assists to lead his team to the win, while Sergey Monya of Khimki was the player with the most blocks this week, as he stopped as many as 4 plays from opponents.